If you saw my last post you know that I’m in the midst of a major battle. For some reason, I agreed to participate in a 45-day clean eating challenge. Clean eating doesn’t sound all that bad until I start listing out all the details. No sugar – Want some sugar in your coffee? Nope, not happening. Enjoy a diet soda every now and then? Sorry, that’s not allowed either. NO DAIRY – What was I thinking? I’m ten days into the challenge, and believe it or not, I feel great! I’ve lost some weight, I have more energy during the day, and after a few restless nights, I’m sleeping REALLY good. The best part? Everything tastes better! Getting rid of sugar has allowed all of the other flavors in my food stand out! It’s been fun experimenting with these new flavors, and this boneless pork chop recipe is no exception. What Do You Eat When You Can’t Have Carbs or Dairy? I know what you’re thinking; if you can’t eat carbs or dairy, what can you eat?! Believe it or not, there are still plenty of foods I can eat. I can eat veggies all day long, and macadamia nuts are my new best friend. Of course, meat is on the list too. It’s no secret that I love all types of meat, but one of my favorites that our family doesn’t eat enough of is pork chops. 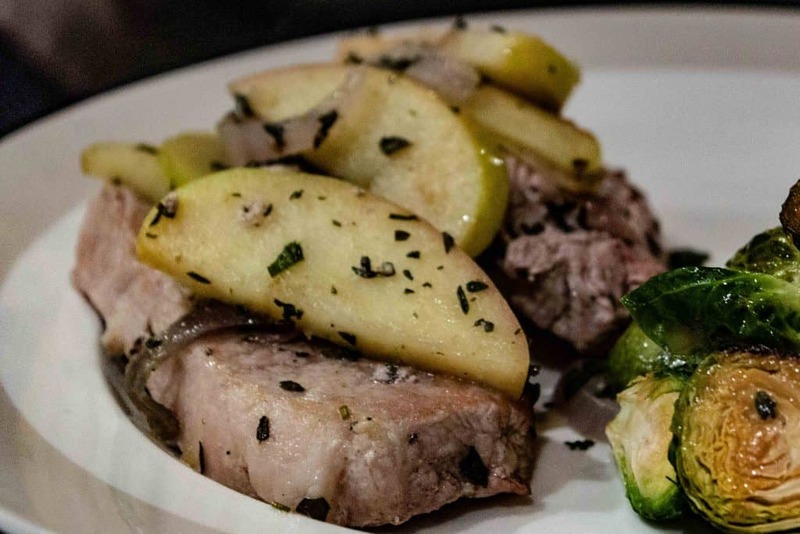 Pork chops are easy to prepare, affordable, and delicious. The boneless pork chop recipe I’m going to share with you today uses Open Nature® Boneless Chops. Open Nature Pork is available in the Boise area exclusively at Albertsons stores. We try and live a healthy lifestyle in our family, and even before this crazy clean eating challenge, we’ve paid close attention to where our food comes from. All Open Nature pork is of the Duroc heritage breed. Duroc is esteemed by chefs for its high-degree of marbling, which translates into a more tender, juicy, and flavorful eating experience. 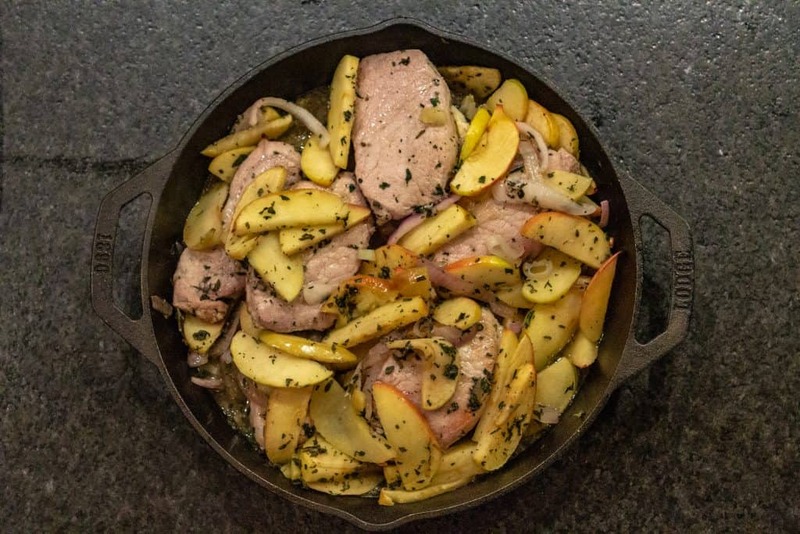 Duroc makes it “fool-proof” to prepare a delicious entrée. 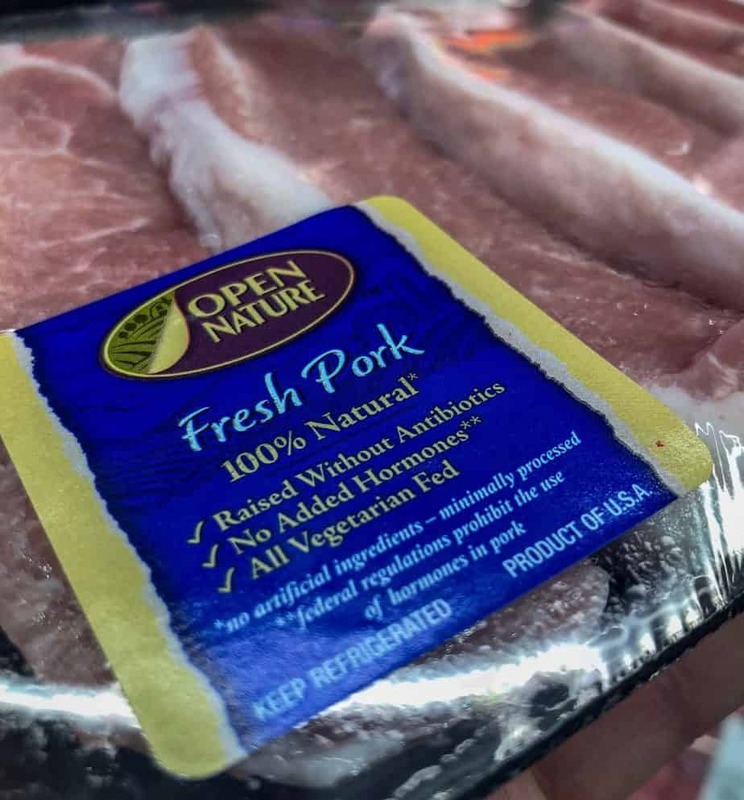 Open Nature pork is anti-biotic free (no antibiotics ever), 100% vegetarian fed, has no added hormones or growth promotants and is raised crate-free. Those are some traits my family looks for when selecting meat, and I’m glad we can find Open Nature Pork, Beef, Poultry, and Lamb locally in Albertsons. Don’t have an Albertson’s near you? You can also find them exclusively at all of the Albertsons Companies family of stores, including Safeway, ACME Markets, Jewel-Osco, Vons, Pavilions, Randalls, Tom Thumb, Shaw’s, Star Market, and Carrs/Safeway. Visit Albertsons.com to find a store near you and discover more recipe ideas. 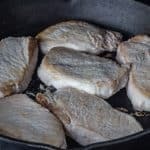 How Do You Cook Pork Chops Without Drying Them Out? One of the questions I get asked a lot about pork chops is how to cook them without drying them out. The method I’m going to outline below includes a few crucial steps that you can follow any time you cook pork chops to ensure they don’t dry out while cooking. I always use a dry brine to brine my pork chops. Salting your pork chops thirty minutes before you cook them will tenderize the meat, and give you a robust and juicy flavor. Don’t worry, they won’t be too salty! Pork chops cook fast! Give them a quick sear on both sides before slow cooking them until they are done. According to the USDA, Pork roasts, chops and steaks are safe to eat at an internal temperature of 145 degrees. If you’re cooking organ meats or ground pork, cook them to an internal temp of 160. My recipe below follows these steps and brings in a savory flavor that really satisfied my sugar-free, dairy free palate. 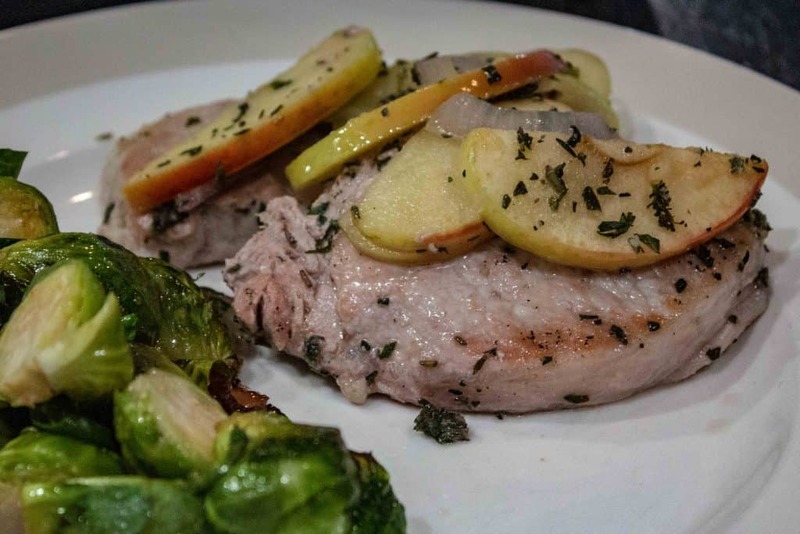 This boneless pork chop recipe is so simple. 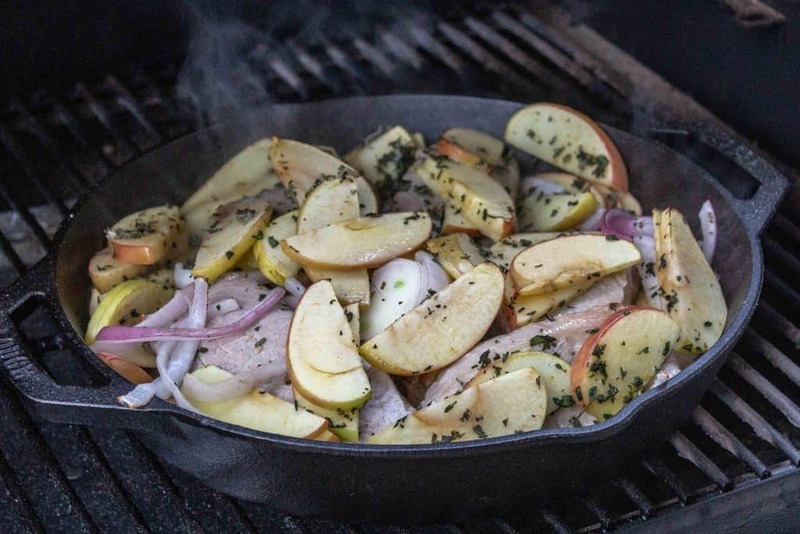 All you need is a large cast iron skillet, some Open Nature Boneless Chops, 3 apples, a red onion, rosemary, thyme, sage, and chicken stock. I was blown away by the wonderful flavor the Open Nature Boneless Chops took on during the cooking process. The end result was a moist and flavorful cut of meat that my family LOVED. The best part? It fit into my new eating habit just fine. 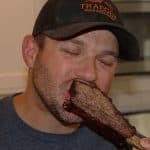 I was blown away by the wonderful flavor the Open Nature Boneless Chops took on during the cooking process. The end result was a moist and flavorful cut of meat that my family LOVED. 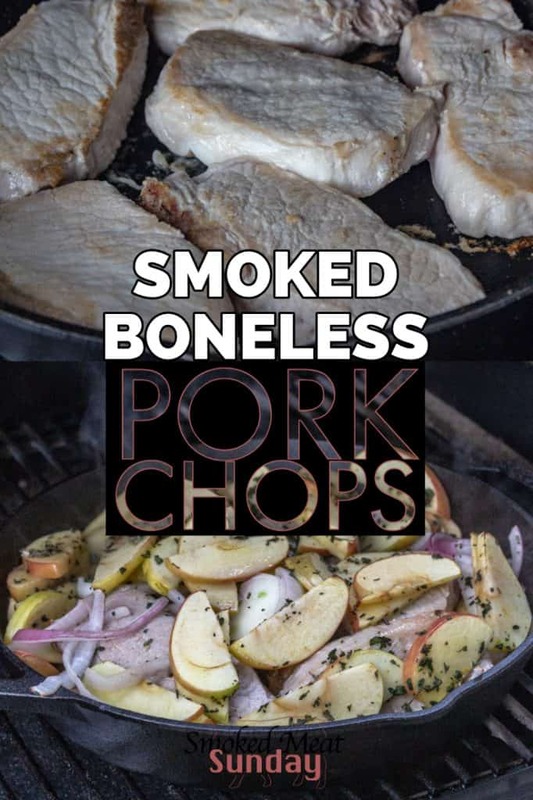 If you’re looking for a simple to make one pan meal for your smoker, these boneless chops are PERFECT! 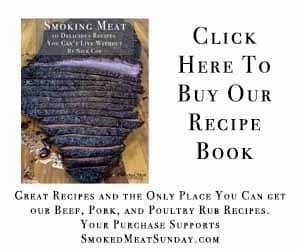 Get your smoker setup to cook with indirect heat and get the temp up to 400 degrees. Place the cast iron skillet in the smoker to get it up to temp at the same time. 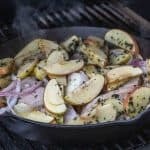 While the smoker is heating up, chop your apples and red onion into thin slices, and finely chop one tsp each of rosemary, sage, and thyme. Season both sides of your pork chops with salt and pepper. 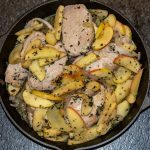 Pour a tablespoon of olive oil into your hot skillet, and then put the pork chops in, allowing them to sear for about three minutes. After three minutes flip the chops and let the other side sear. After ten minutes put your boneless chops into the skillet with the veggies and fruit. Try and get all of the chops covered, but not touching the bottom of the pan. Pour the half cup of chicken stock over the fruit and veggies and then loosely tent the skillet with foil. Let the food cook for an additional twenty minutes, or until an instant-read thermometer reads at least 145 in the thickest part of each pork chop. If you prefer no pink in your pork, bring the temp up to 165. Either way, you’re safe!